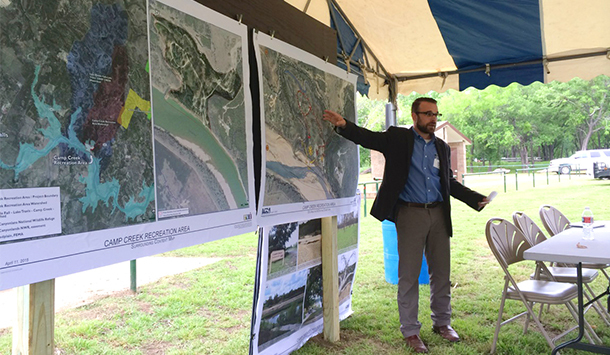 The Lower Colorado River Authority (LCRA) and RVi earlier this month hosted an open house to discuss the master plan for Camp Creek Recreation Area in Marble Falls, Texas. Project Manager Drew Carman (pictured above) helped facilitate the event, which was aimed at gathering public input on two design options proposed for the park. Both designs incorporate overnight camping, as well as day-use recreational facilities for picnicking, fishing and boating. The proposed enhancements are intended to improve the existing amenities at the park, make the park more accessible to visitors and increase visitation from the estimated 17,000 people who visit the park annually. 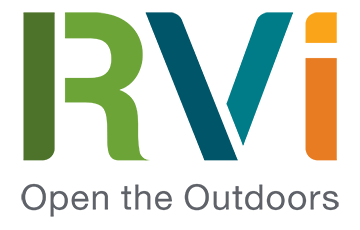 RVi was selected to create a master plan for Camp Creek earlier this year. Camp Creek is a 42-acre park on the northwest shores of Lake Travis. 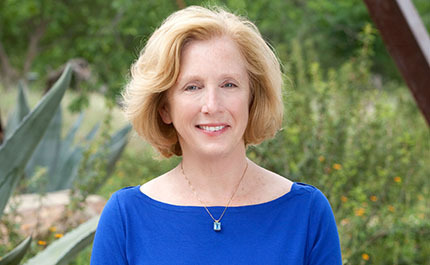 Unlike many of the Austin area’s more urban parks, Camp Creek’s rural location makes it a great resource for those seeking a more primitive experience in nature. 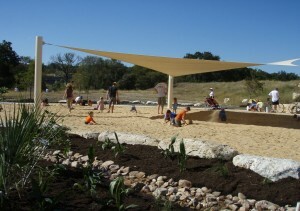 For more information on the park, visit LCRA’s website. 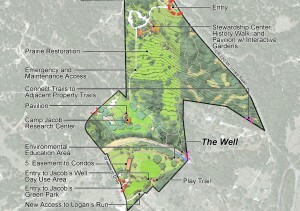 Love this project to improve on the hill country area!